FS Blumm teams up with Swedish singer Ellinor Blixt of It's A Musical for a 2nd album. "This is not pop. Nothing drips off here, everywhere you get caught and everywhere you lose yourself. In every corner there is a rustling, a silky whisper, a careful finger picking. With the biggest love for the smallest detail A Little Big is a paradox in music in which ease and deepness become one, a weightless elegy. The wonderful guitar-skills of Blumm have depth and are, at the same time, light. It all flows apparently effortless and elegant. It's the perfect counterpart to Ellas concentrated fragile singing. 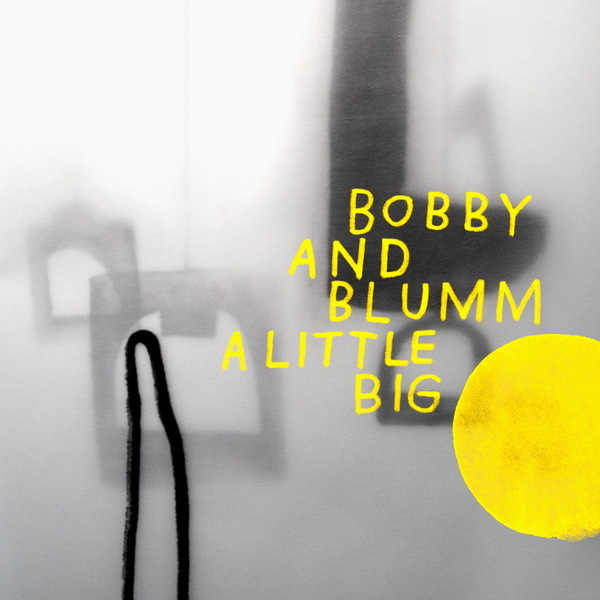 Bobby and Blumm: two sounds made one. B&B have grown and they are ripe now. In comparison to their debut-album Everybody Loves they use more space, they have become "A Little Big". Still the listener never gets overpowerd and there is always enough space to choose between the remote-view and the close-up. Whether you turn your attention to the song in its entirety or to the details within is up to you and both pay off! Nothing forces itself on you, no babbling, no twaddle. B&B only use the notes, that they consider really necessary. Their songs are in focus. They are refined. They have a superb feeling for time. Duets and dialogues are engaged in close arrangements. A slight rise of the eye-brow and the next harmony appears just like that. Fine-felt sounds, for the love of music. And the more you listen to this album the more beautiful it becomes, the deeper it roots."